Thank you for allowing me to serve as President of your American College of Healthcare Executives – New Jersey chapter. A new program year is upon us, bringing with it new opportunities, new challenges, and a new list of accomplishments for us all. In June, nearly 200 health care executives converged on the brand new campus of the Hackensack Meridian School of Medicine at Seton Hall University to celebrate what was the best-attended annual meeting in recent memory. For this wonderful evening, please join me in thanking keynote speaker, co-chief executive officer of Hackensack Meridian Health, Robert C. Garrett, FACHE; distinguished service award winner, executive vice president of RWJBarnabas Health, president and chief executive officer of Jersey City Medical Center, Joseph F. Scott, FACHE; honorable guest speaker, president of the academic enterprise and founding dean of the school of medicine at Hackensack Meridian Health, Dr. Bonita F. Stanton; diamond sponsors, Atlantic Health, Hackensack Meridian Health, RWJBarnabas Health; platinum sponsors, New Jersey Hospital Association (NJHA), WithumSmith+Brown, PC; gold sponsor, Broadway House for Continuing Care; and the ACHE-NJ’s board and committee members. Shortly thereafter, the New Jersey chapter announced two campaigns that I couldn’t be more proud of – #MyFellowWomen and #ChapterChallenge. #MyFellowWomen is a local strategy to eliminate the ACHE-NJ’s gender disparity in advancement to Fellow of the American College of Healthcare Executives (FACHE). #ChapterChallenge is its national strategic complement to ensure the equitable delivery of high-quality services to ACHE members and health care executives all over the country. As of this writing, nearly 60 women members of the ACHE-NJ have pledged to advance and three chapters have accepted the challenge, extending our impact to just over 2,900 members in Delaware, New Jersey, Pennsylvania, and South Carolina. 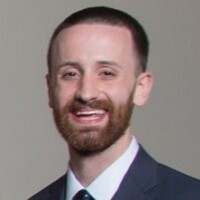 Still in June, the Chapter qualified to receive the 2019 Award of Chapter Merit, given to the top 10% of 78 chapters in each of four categories, based on its objectively measured results in education and networking. We are excited by the prospect of receiving this national distinction not only for the second year in a row, but for the second time in almost a decade. Many thanks to our education and events committee and especially to our joint providers at the NJHA, New Jersey Medical Group Management Association, and Organization of Nurse Leaders, New Jersey. In July, the Chapter went on to deliver one of the first ACHE-approved, chapter-sponsored, face-to-face credit Board of Governors (BOG) examination review courses in the country. Such a program was offered by only three of 78 chapters nationwide. If you were among those who attended, please remember to pass your BOG exam in 2018 – we’ll pay you $150! In August, ACHE-NJ volunteers continued their tireless work organizing what has proven to be an eventful September. Just after Labor Day, 80 learners came out to Clara Maass Medical Center, an RWJBarnabas Health facility, for a full day of learning about what New Jersey hospitals and health systems are doing to achieve zero harm. The Chapter once again extends its thanks and appreciation to Dr. Mary Ellen Clyne, president and chief executive officer of Clara Maass Medical Center, for being such a gracious host and also to our wonderful panelists for taking a time-out to advance this chapter’s knowledge about safety and reliability. 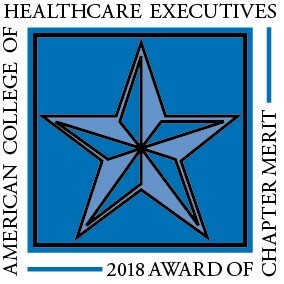 Finally, in September, the Chapter was awarded the 2018 American College of Healthcare Executives’ District 1 Regent-at-Large Award for Chapter Accomplishments in Diversity. We are honored to be among six recipients recognized for demonstrating a commitment to and successful execution of significant diversity and inclusion efforts within our chapter, community, and the healthcare management field. Our thanks go to District 1 Regent-at-Large, president and chief executive officer of Cape Regional Medical Center, Joanne Carrocino, FACHE; our past and present volunteer leaders and corporate sponsors; our partners in the #ChapterChallenge; and all of the women who have joined and supported our #MyFellowWomen campaign. Today, the ACHE-NJ’s board and committee members are working hard to finish strong in quarter four and start stronger in quarter one. I encourage you to please visit our website and LinkedIn Company Page for the latest information about what we have planned. In the meantime, I look forward to seeing you at our Holiday Luncheon in December and any time in-between.